Many of you might have already come to understand we are living in the era of great changes, when everyone is fated to make his/her much talked-about choice. To all appearances, the ominous Last Times, the Judgement Days predicted in Islam, or the Apocalypse foretold in Christianity, are already showing their gloomy twilight through our windows which so far seem to be transparent. We can avert our faces from the obscure reality for as long as we wish, however the reality will be just as it is: the LAST DAYS are indeed coming, and they are inevitable. These are the days when the mankind has totally lost awareness of what it is given life for. The third millennium, the crossroad times… Today, we have found ourselves one step over the abyss of separation, of the deepest economic crisis, global natural disasters and climate change on the planet Earth, new large-scale wars, and the threat of the mankind total extermination… On the other hand, we are on the threshold of a universal spiritual awakening and the consequential promised Golden Millennium. The biblical myth is gaining unexpectedly realistic contours in our everyday life. And, although only a few people currently understand how crucial these days are, we truly hope the technocratic world, which is sliding into the chasm of material degradation, will nevertheless alter its movement vector at least partially to the opposite, i.e. towards spiritual priorities, high moral and ethical standards, and human unification. Unfortunately, ignorance and rejection do not exempt any separate personality from responsibility for his/her own choice, because failure to change the vector of one’s personal development towards the Spiritual, due to laziness, principles or unawareness, will inevitably mean choosing the matter and facing all consequences that will take place already in the near future. And those consequences will be quite deplorable. Please, trust what we are saying, for the time will confirm our words anyhow. These wonderful programmes literally made the Web boil, having caused a storm of comments and discussions in many countries of the planet. By the way, these very programmes became the reason of the Point of View launch in September 2015, when a group of people, lit up with an unimaginable guess and being not indifferent to what was happening, gathered together for the project implementation. We spent three months of laborious work, searching for the evidence basis that would support our resounding message of September. Over this short period of time, we have reviewed plenty of material, based on which we have selected and structured the most reliable facts confirming that the Great Teacher, the spiritual Leader of humanity is currently indeed residing on the Earth. And he is exactly the one who’s expected by all religious confessions under different names: the Comforter or the Holy Spirit for Christians, Imam Mahdi for Muslims, Kalki Avatar for Hindus, Maitreya for Buddhists, Messiah for Judaists, and also known in other teaching as Saoshyant, Geser Khan, etc. 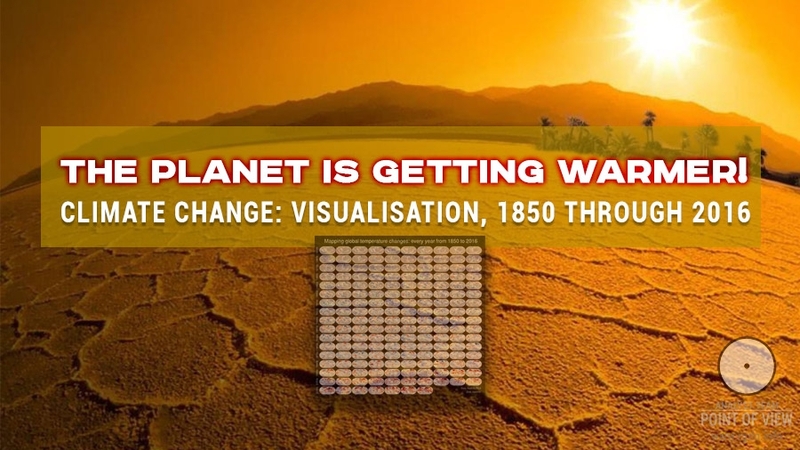 Dozens of predictions we have discovered represent clear evidence of the aforesaid, as if all of them are laid into a single enormous prophetical jigsaw puzzle, where calendar dates, lunar and solar eclipses, and events incredibly concur, and names coincide. Based on what we have discovered, today, on the eve of the year 2016, we are stating with certainty that Bodhisattva is on the Earth! Despite complete loss of the Knowledge, the history of human civilization has managed to preserve records of His previous terrestrial incarnations: Rigden Djappo, Osiris, Ahura Mazda, Archangel Gabriel, Angel Jibrail, Agapit of Pechersk… We understand this may seem improbable and even provoke an unexplainable inner indignation. However, we do not want anyone to trust in our theory thoughtlessly. On the contrary, we urge everyone interested to join the discussion and analysis of the evidential information collected on this website. We have no doubt this is the event of an epoch-making historical scale, deserving responsible and attentive examination by leaders of the international community. Many of them have already sensed Rigden Djappo’s appeal to the mankind and joined it in a common cordial impulse, although the majority of people with a consumer way of thinking have shown no due interest to the Primordial Knowledge about the universe, human nature, and people’s true predestination. Despite wide-spread outdoor advertising in many cities of several countries (billboards, metro stations, transport vehicles, house entrances, internet resources, etc. ), people still adhere to material and consumer priorities, but not to the idea of THE SOUL SALVATION well-known to every Christian. The Knowledge has been given to the world. Everyone who wishes to look through it does have such an opportunity. Now, one should only reach out his/her hand to know everything necessary. On the other hand, everyone who chooses the matter will inevitably lose it. Those who came from dust will turn into dust again. Provided that Messiahs and God’s prophets came to the Earth before, are we entitled to deny this is impossible again? 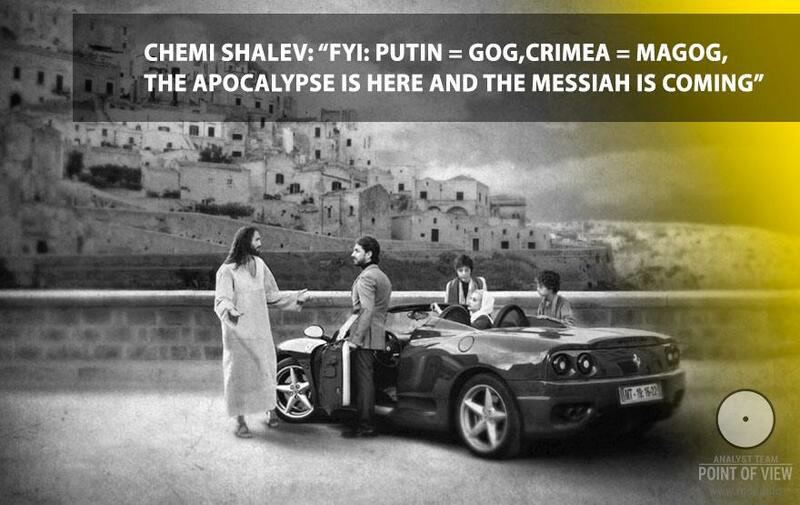 Furthermore, when dozens of prophecies tell about that. If Messiahs and God’s prophets came to the Earth before in ordinary human bodies, are we entitled to expect any change in the way they come? In outward appearance Jesus Christ was an ordinary individual who physically lived on the Earth just like everyone else and was subject to gravitation laws. In such case, why should Rigden Djappo (Imam Mahdi) descend to the Earth from heavens and flaunt magic tricks? Please, take a minute to ponder over how your mind imagines Him, and why such particular image is generated. Should the Teacher who has come here as the Judge prove anything to unwise people? Does the Judge owe anything to the accused at all? Let’s recall another upsetting pattern: thousands years ago neither Jesus nor Muhammad were recognized, which was evidenced by crucifixion of the Saviour and poisoning of the Prophet. The fact of a Spiritual being’s direct proximity is extremely provocative itself for unexplored human consciousness. If you believe in Jesus Christ, please, comment his words about the advent of the Comforter or the Holy Spirit (Luke 17:20). If you believe in Prophet Muhammad, please, focus attention on the Hadith regarding the advent of Imam Mahdi. And, finally, if you still regard all the aforesaid as a shameless fiction and cynical lies, don’t be angry and accept such choice of yours at ease, for this is your personal choice, and only you are to be responsible for it. Presence of lily flowers in the background scene of all three programmes. Lily is a symbol of the Evangel. 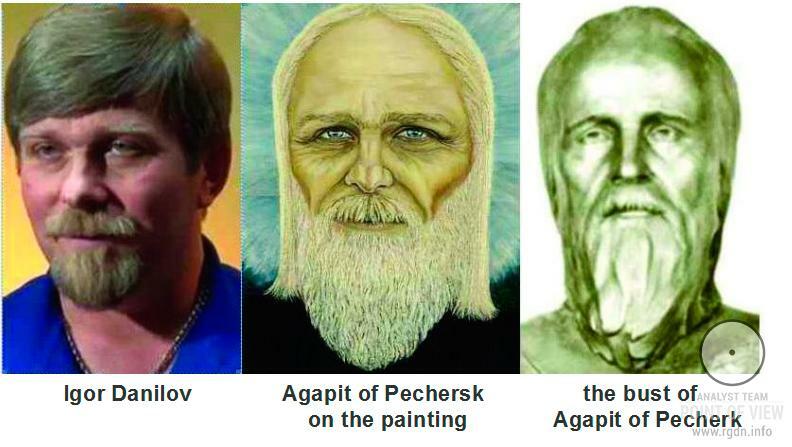 A striking resemblance in appearances of Saint Agapit of Pechersk and Igor Danilov. Such resemblance urged us to carry out a separate investigation. The outcome of habitoscopy (portrait) examination proving that the aforesaid resemblance in appearances does exist. 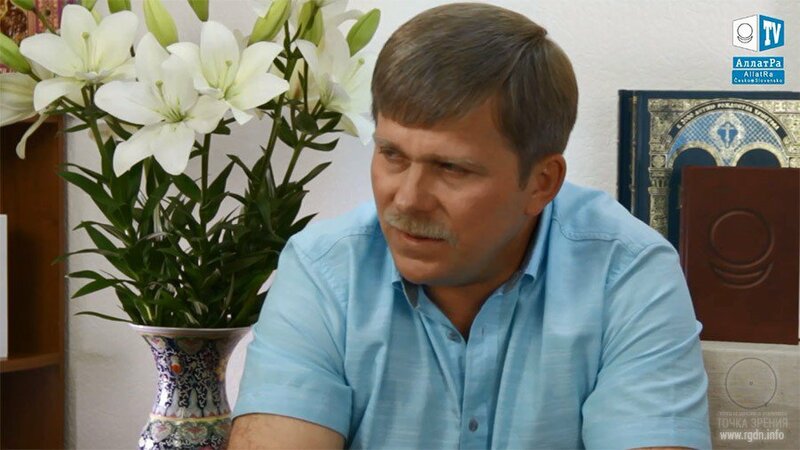 The third interview with Igor Danilov in the Unity programme, where the topic of Islam was addressed totally unexpectedly, fully complying with Islamic Hadith predictions on the advent of Imam Mahdi and restoration of Islam. The udumbara flower has blossomed, foreshadowing the advent of a spiritual leader. We should repeat it’s up to everyone whether to believe in the aforesaid or not. This is an unquestionable right of every person, regardless of how consciously he/she exercises such right. Ignorance of “life terms and conditions” does not exempt from responsibility for the lived result. The year 2016 promises no easy roads for the mankind. Many people feel the world is on the threshold of economic crisis, major political and climatic shocks. 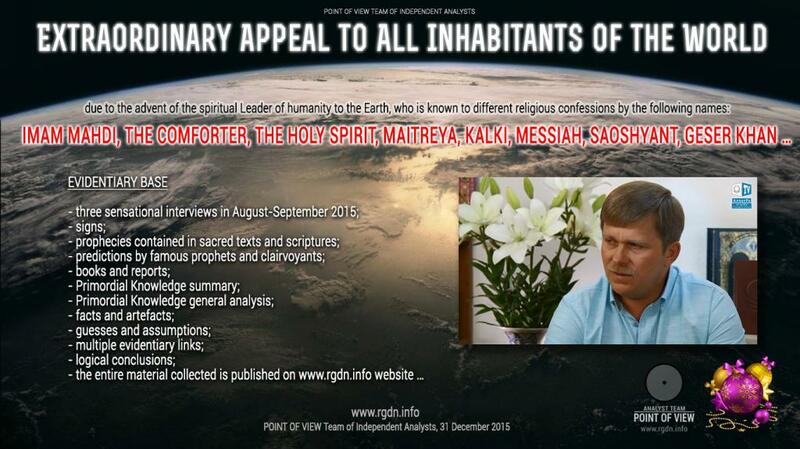 At this momentous hour we urge the global community to lend an attentive ear to Igor Danilov (Rigden Djappo), to His warning, to His appeal to change the society development vector towards spiritual priorities and all-human unity, to start personal self-improvement and spiritual transformation. Otherwise, catastrophically difficult times will be in store for all of us. The Judge is on earth, and this is no fairy tale, but the actual reality. We, the Point of View international team of analysts, are not prophets at all. We are only people imbued with an unselfish impulse, who have thoroughly analysed the collected materials and, trust our word, get absolutely no dividends for what we are doing. 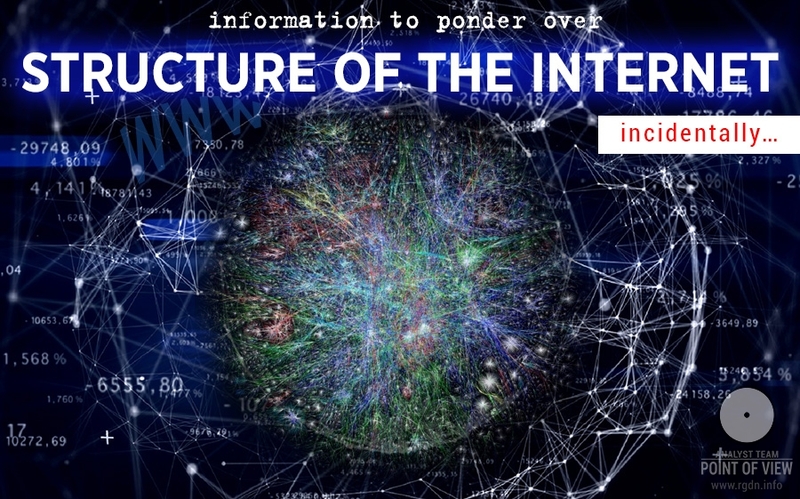 Within the nearest months, we shall endeavour to publish summary of the Knowledge brought by Rigden Djappo (Imam Mahdi, the Comforter, Maitreya, Kalki, Messiah, Geser Khan, Saoshyant...), so that modern people who are sceptical and always in a hurry would clearly understand the breadth of the information we are talking about. At that, if you, the dearest reader of these lines, still remain indifferent, we can only add the last point: everybody reaps what they have believed in during their lifetime. In the year 2016, we wish the only thing for all inhabitants of the planet Earth – spiritual awakening. The Point of View team of independent analysts.